Welcome to another Warriors Weekly after a different but still quite eventful seven days. 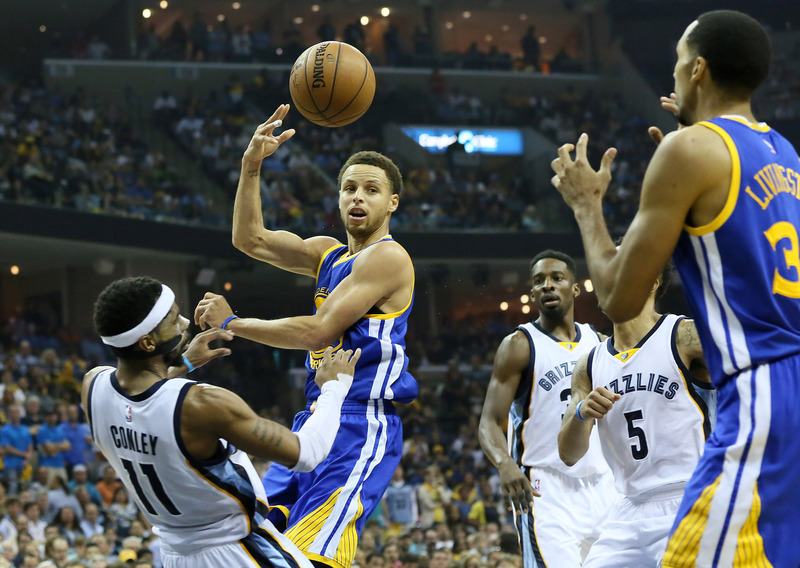 The Warriors had an excellent week all things considered. After all, they only played two games while getting to stay at home the entire stretch. Beyond the personal benefits of the schedule, Golden State also secured two victories including what some will call a statement win against the Cavs on Christmas Day. 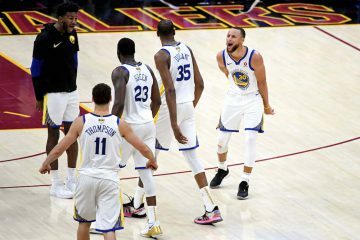 (When a team is 28-1 in a league this strong, there is no such thing as a “statement win”) What made the Christmas Day game notable to me was how the Warriors beat one of the league’s best without a truly dominant performance from anyone other than Draymond Green, who was a monster. They won with a strong defensive performance and enough offense from various players to cobble together enough to win. Those who still doubt this team’s viability in the playoffs for some reason should see this as an example of how dangerous the Warriors can be. After all, a fine but unspectacular offensive performance with a starter missing the game entirely was enough with that defense to beat a strong team. Stephen Curry Above the Break Three Update: Stephen Curry has made 114 above the break three pointers this year, more than three teams. Curry’s 44.5% shooting from there is better than every NBA team from mid-range (tied with the Warriors, actually) and all but four teams in the paint (non-restricted area) not even accounting for the fact that 3>2. Only one player in the top 30 of above the break three attempts has made a higher percentage of them than Curry: Khris Middleton (again). 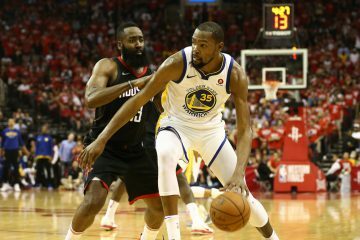 A project I have run on my own the last season or so collects information on how various individual Warriors perform with and without Stephen Curry. Evan Zamir’s amazing NBAwowy (a publicly accessible site) makes information like this pretty easy to cull and analyze. You can set your team, then any date parameters you like and other things including who is on or off the court. PPP- Points Per Possession. A nice estimate of efficiency that scales for pace. PPS- Points Per Shot. Points per Field Goal attempt. 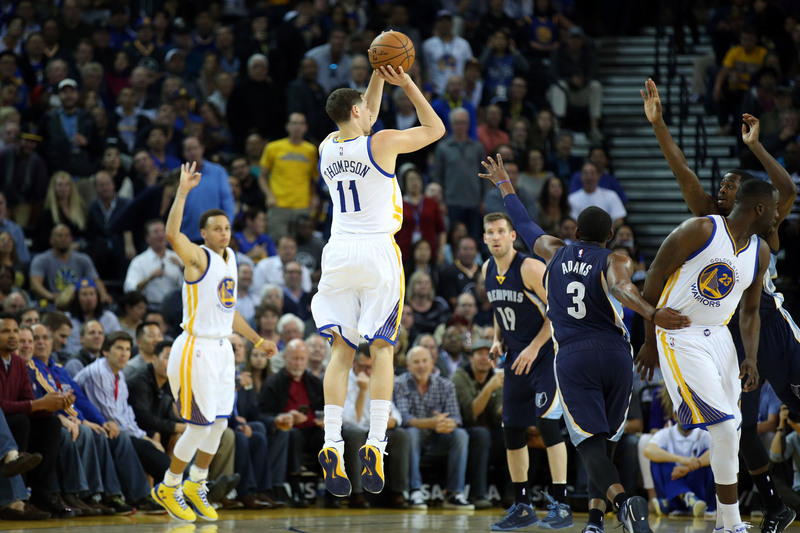 A more scoring-centric measure that rewards taking free throws as well. USG- Usage. 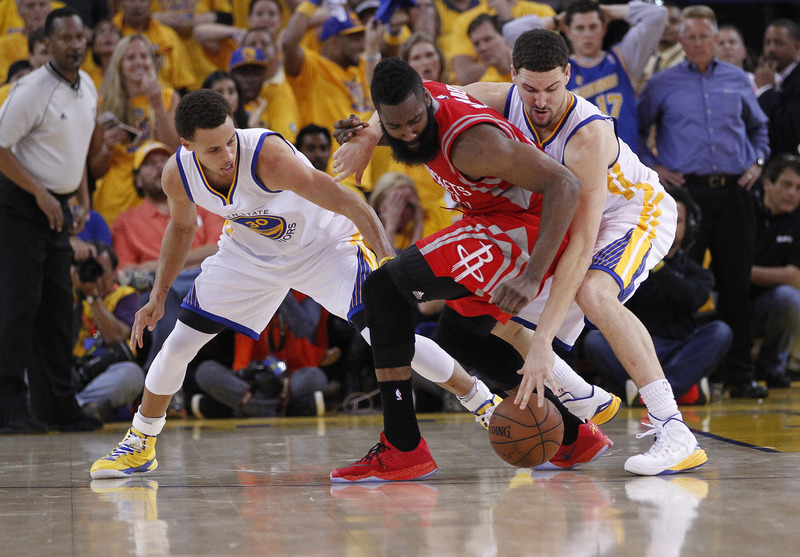 The percentage of plays a player is involved in via shooting the ball, assisting or committing a turnover. A nice measure of a player’s role in the offense. Something important to remember is that Stephen Curry’s minutes largely track with an opposing team’s starters so a player’s minutes without him should mostly be against weaker talent. While acknowledging that we are still early in the season and thus these are two early to draw any big conclusions, take a look at Klay Thompson. This season, his stats fall off the table in the 100 minutes he has played without the MVP. Some players like Iguodala and Festus Ezeli improve in terms of efficiency without Steph but that likely stems more from playing against weaker competition since Curry overwhelmingly plays against starters. Unsurprisingly, the players who have the greatest discrepancies are spot-up shooters. Shaun Livingston can run the offense well but the attention Curry draws combined with his passing ability means tons of clean looks for Klay, Brandon Rush and Ian Clark. 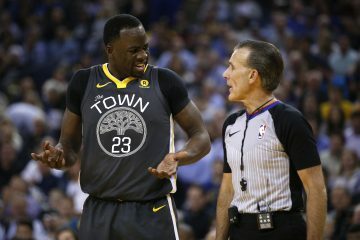 Draymond has played a remarkable 93% of his minutes with Curry this season. 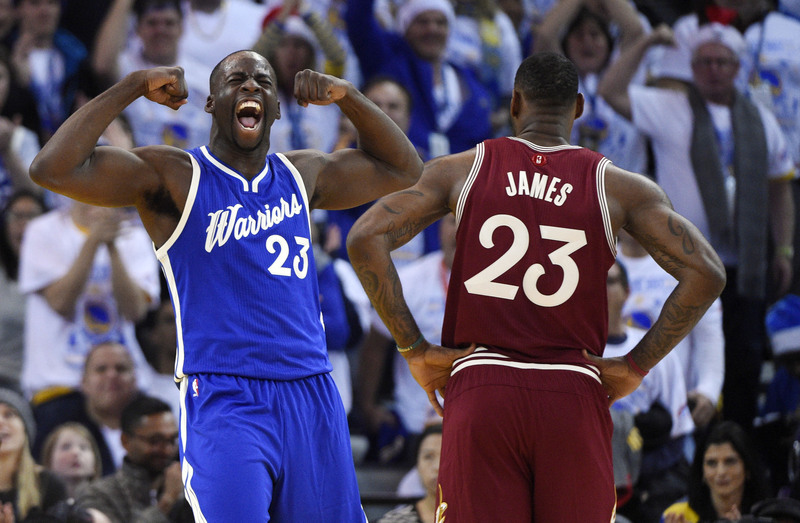 Their chemistry helps fuel the first team offense and was something unlocked in the Kerr regime. Compare the margins for Ezeli and Bogut- while Ezeli’s role stays pretty similar with the starters and backups, Bogut suffers offensively without the strong surrounding talent. That matters in the near term for minute distribution (when, not how many) and in the long term because it affects the dynamic with the two centers. If/when the Warriors commit to Ezeli as their big of the future, that could be a great time to sell high on Bogut. Adding in substantially more minutes, some of the bigger discrepancies like Klay’s line smooth out but others persist. Marreese Speights uses a metric ton of possessions. The league’s biggest shooting guard gets buckets or flames out trying. Keep an eye on how Harrison Barnes’ splits change over the course of the season. The switch from SF to PF between the first and second unit changes the nature of his opponents and looks. Remember that there are plenty of other factors to consider like defense but information like this can help paint a clearer picture. The Warriors actually hit the road for the first time since the loss in Milwaukee more than two weeks ago. However, they start the week with DeMarcus Cousins and the Kings at Oracle. 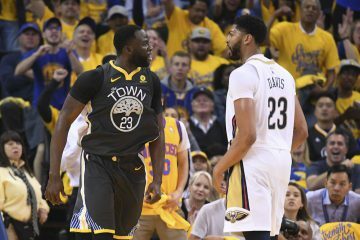 Rondo vs. Curry will be compelling and of course it will be notable for Klay considering his outburst against the Kings in Oakland last season. From there, the Dubs head to Texas for back-to-back games against the Mavericks and Rockets. Both opponents currently would be playoff teams but the one with the worse record (Houston) has been played better recently. After a short trip the team returns home to face Denver on Saturday. While we do not know for sure as of this writing, that game could mark Steve Kerr’s return to the sideline. Regardless, it will be fun to see how the Nuggets have grown since their pre-Thanksgiving loss at Oracle. The back-to-back in the middle of the week makes 3-1 the most likely outcome but I will predict 4-0 all the same.